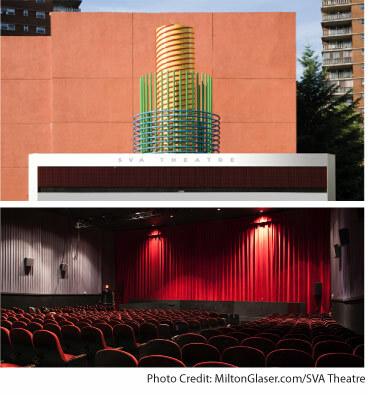 Opened in 2009, the SVA Theatre has become an important venue for both new and established artists to showcase their work. Standing atop the venue is a custom-made Milton Glaser kinetic sculpture that comes to life every hour on the hour, a symbol of charm and culture in its Chelsea neighborhood. Heading to SVA Theatre for a show? Parking.com has discount parking near SVA Theatre. Click on a location name to find parking details and a discount coupon. Coupon must be presented upon exit to redeem discount. Please print and bring one with you to the parking location.